There have been several high profile anniversary reunions for Woodstock 10, 25 and 30 years after this iconic event first took place, but one of the most interesting occurred when many of the original musicians converged on Long Island's Parr Meadows in Brookhaven, NY to celebrate the 10th anniversary. Unlike later events, this was a true reunion for many of the musicians who played the 1969 festival. Johnny Winter was undoubtedly one of the main attractions and festival high points and the combination of Winter with Bobby Torello and Jon Paris makes for immense impact both on the ears and the memory banks. 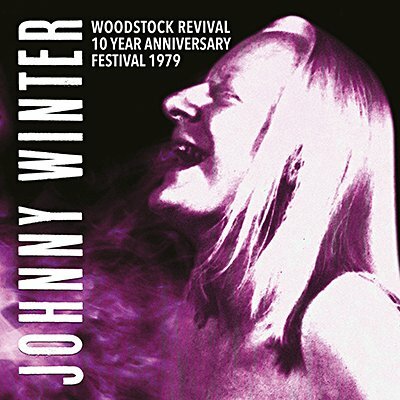 Klondike proudly presents the entire original WBAB-FM broadcast of Johnny Winter live from Woodstock Reunion 1979, at Parr Meadows, Brookhaven, NY on Saturday 8th September 1979.